After a big fundraising campaign, a pledge drive or the end-of-year appeal, hopefully you’re stealing away a few hours of extra sleep. Or you’re curled up in your favorite chair with that book that you’ve been meaning to read for a while. Most likely, however, you are back in the office tying up loose ends. It’s easy to get caught up in the details of cleaning up after a big project. But this is the best time to say thank you and report back, while you still have people’s attention. All is fresh in their memories and they might even be talking about your fundraiser with friends and family. It helps to have a few things set up in advance. If you’re hosting an event, write the thank you letters to sponsors and donors before the event. They day after the event, all you have to do is update the results and send the letters right away! Radio stations have an advantage. You can go on the air and say thank you immediately. When you add social media, you get a great combination. Keep in mind that personalized messages (phone calls, handwritten notes, emails, etc.) sent directly to donors are even better. Decide early when, how and who you are going to thank. 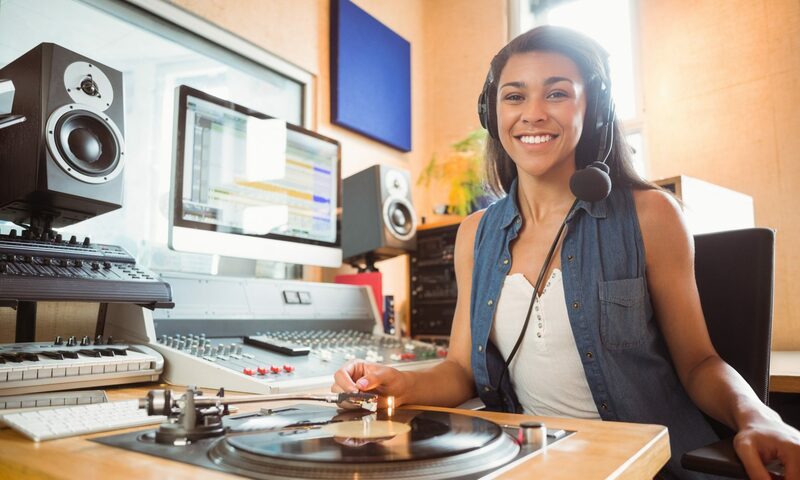 You could treat high level donors to a dinner with a big personality in your radio station, make calls to mid-level donors and send postcards to those who make smaller but recurring gifts. Having a thank you policy will save you time because you will know ahead what to do with each donor segment. Read more about creating a thanking policy and donor retention. Your fundraising plan for the year (or the campaign) should cover donor recognition and reporting. Choose your follow-up tools (letters, videos, postcards, etc.) and prepare them beforehand. If you can’t do it all at once for the whole year, at least do it for each pledge drive or fundraising event. This will save you time and work, especially in the middle of your campaign when your attention is pulled in different directions. Your donors will be happy because their generosity will be recognized promptly and in a meaningful way. Consider using what other donors are saying, especially on social media. It’s sort of like sharing reviews or testimonies. Ask your donors why they chose to support, listen to their experiences and share them with your audience. The same goes for letting other stakeholders (listeners, producers, staff members and community partners) tell their own story. You can do this as part of the campaign prep or you can share what others say as it happens online. Reporting back is easier if you already have a donor communications calendar with multiple opportunities to talk to your supporters. Donor communications are key to donor retention. If you had an event to raise funds for equipment, for example, be sure to show donors down the road (and before the next fundraiser) how the equipment is used and how it improved their listening experience. Some organizations have very complex donor communications calendars. You have to create one that is realistic for you. If you have ten other responsibilities in addition to raising funds, you want to keep the calendar manageable. Mary Foley, a fundraising consultant, taught me the following rule: thank, thank and then ask. This can also be read as: thank, cultivate and ask. She says that for every fundraiser you should plan two actions to express gratitude, build a relationship with supporters and show donors how their gift is making a difference. Ask a board member to host a thank you dinner. If a show has a strong donor following, try a meet-and-greet with the show’s producers and/or host. I work in a school and we send personalized thank you letters after every donation. Although we don’t have a huge donor base, it can be daunting to write notes for everybody. So I recruit students to help me write personalized notes. I call them the Thank You Brigade. I’ve received replies from donors who can’t believe a real student wrote to them. Sometimes a donor writes back to the student and sends another donation. This is truly a powerful experience for everybody. The donors connect directly to the students they are helping and the students discover that there are people in the community rooting for them. The best tone is the one that your audience responds to, but a conversational tone usually works best. You have the advantage here. While fundraisers have to train in writing for the ear, that’s just what you do everyday. People respond well to simple and emotional messages. Be clear, be direct and sound like a real person. Giving makes people feel great. It also makes them healthier and live longer. It’s true. Here’s the research. Your thank you message can have the same joyful effect in the donor. Don’t forget to make all your donor reporting and follow-up consistent with your campaign. Use the same language, the same imagery and the same emotional triggers. The standard is to acknowledge a donation within two days. This can be done in person, with a quick phone call or just an email. Non profits have a reputation of taking too long to acknowledge a donation. If you are prompt, you will stand out. A thank you policy will come in handy here. You’ve decided to make your thank you letters to donors as personalized as possible. Great! Be sure to get the names of donors right! Even if all you have is a spreadsheet, please be nice to your database. I mean: update contact information and preferences, correct the spelling of names and keep up with donors’ giving history and preference. If your database is in good shape, you’ll be able to report back and recognize donors quickly. Always keep in mind the health of your database when planning donor communications and post-campaign thank yous. What works for you? Share it!